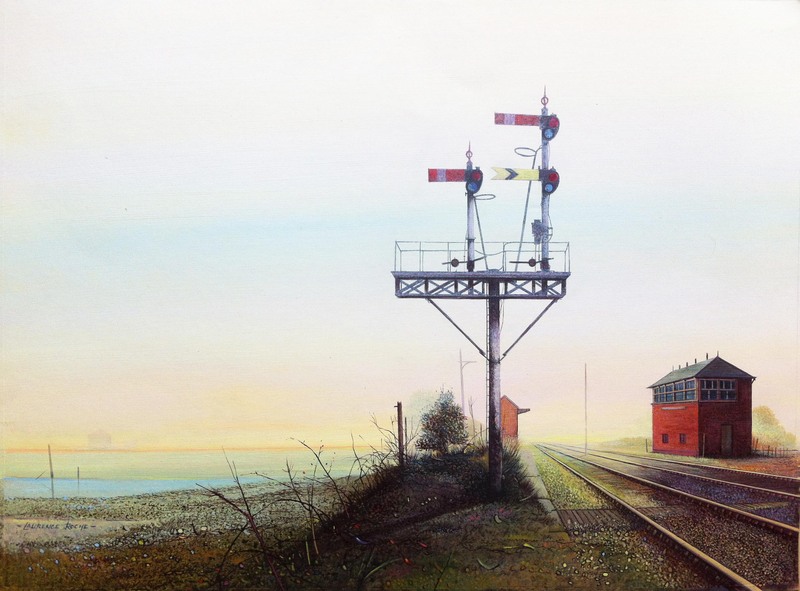 Original artwork ‘Morning Mist’ depicting an early morning railway scene with a signal box and signal. Acrylic on card. 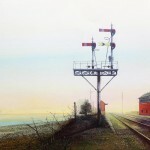 Signed on the front, but also inscribed on the back by the artist in pencil with the title, signature and dated 1983.